Yesterday, (Tuesday) at the stroke mid-day, over 650 lined-out at Castle Street, close to Dublin Castle to take part in the first organised protest march by the Association of Garda Sergeants & Inspectors (AGSI) to Dail Eireann. 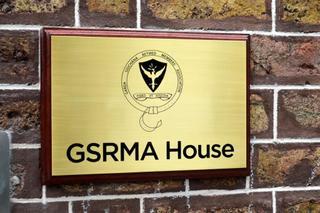 There, to provide a great sense of “Loyalty” were approx 150 reps from various branches of the Garda Siochana Retired Members’ Association (GSRMA). They came from Dublin and many area of the country and stood shoulder to shoulder, on route to Dail Eireann with former colleagues. This support was much appreciated and acknowledged by AGSI. “Newly qualified gardaí are coming in at a ridiculously low wage,” he explained. “They lost parity with their colleagues a number of years ago, and they took allowances of them. This is the first thing that needs to be addressed. “But there’s also the issue of the pay that was taken off gardaí as part of […] legislation and as part of the implementation of the pension related reductions to their wages. It resulted in existing members losing in the region of 25%,” he added. The AGSI is also supporting the restoration of pension-cuts to retired members of the force. Photographs courtesy Tony Fagan & Ted Hughes. young members, some with morguages, able to survive in this day and age.